In the summer of 2017, ArtFusion 19464 moved into a new home at the Beech Street Factory, formerly Fecera’s Warehouse, on Beech and Evans streets. The project, designed by Barton Partners, a local award-winning architectural and planning firm specializing in sustainable urban planning, provided ArtFusion with 4,000 square feet of space, located on the ground floor. The new location is ADA compliant, provides ample room for multiple classrooms, and established a permanent and unique space to host a variety of arts and cultural events. 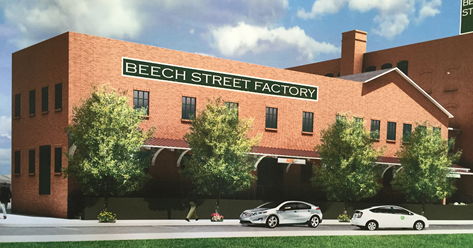 We believe that the Beech Street Factory is an ideal space for ArtFusion, allowing us to expand our educational efforts, and the facility better suits the needs of the entire community by serving as a neighborhood anchor. Check out the plans here. We are looking for support from our community to continue to outfit our new space. Click here to explore naming opportunities for our building. 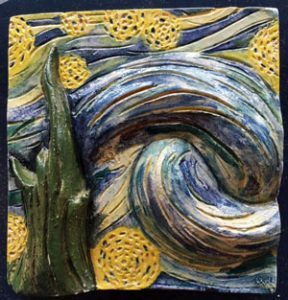 This option is perfect for businesses and local arts supporters who would like to honor or memorialize a loved one. We also have a brand new Donor Tile program. You can become a permanent part of our new home on Beech St. through the tile commemorating your generous donation. Click here for complete details.